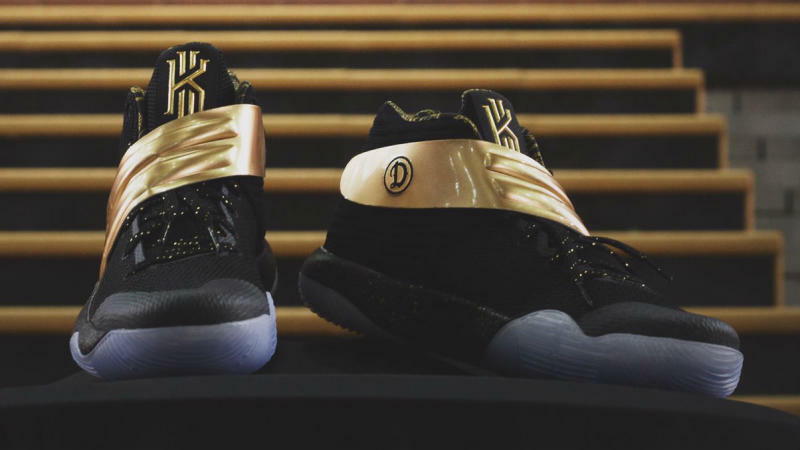 After capturing the Drew League Championship last August, Los Angeles Unified (or LAUNFD) players were gifted with a celebratory Nike Kyrie 2 iD ahead of today&apos;s game against the Nova Stars. 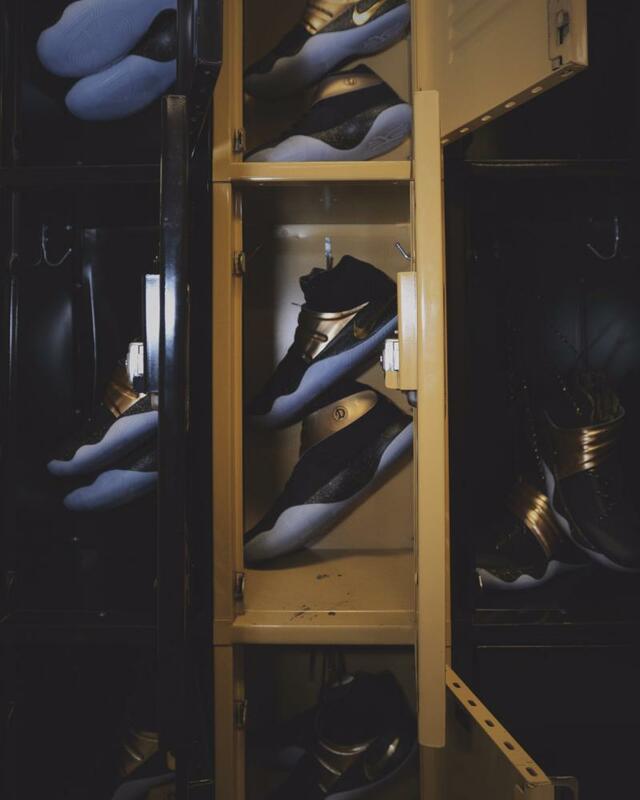 The championship sneakers sport the familiar tandem of black and metallic gold, with a Father&apos;s Day pattern lining, speckled laces and midsole and icy translucent outsole. 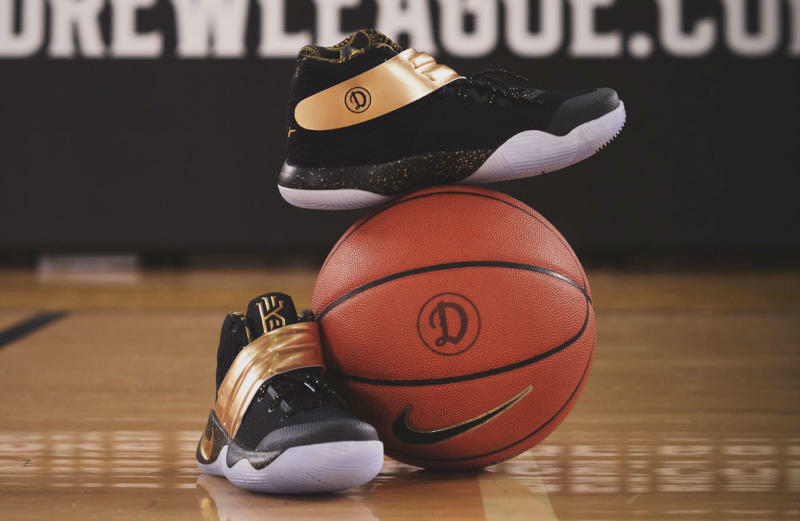 On the inside of the strap is the official Drew League logo, which is actually a selectable option for all designers on Nike iD for a limited time. Fans can buy this exact style for $165 at nike.com now.